It’s December. The official end of the haunt season is over a month in the past. Almost every single person I know is thinking about Christmas with its presents, family get-togethers, parties and religious ceremonies. And here, in the Kittrell’s house, it is pretty much all that, but with one extra-special event: Krampus Christmas. 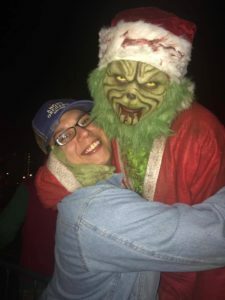 For the past few years, Nashville Nightmare Haunted Attraction has put on its own telling of the creepy Christmas story revolving around the evil, child-stealing Krampus. 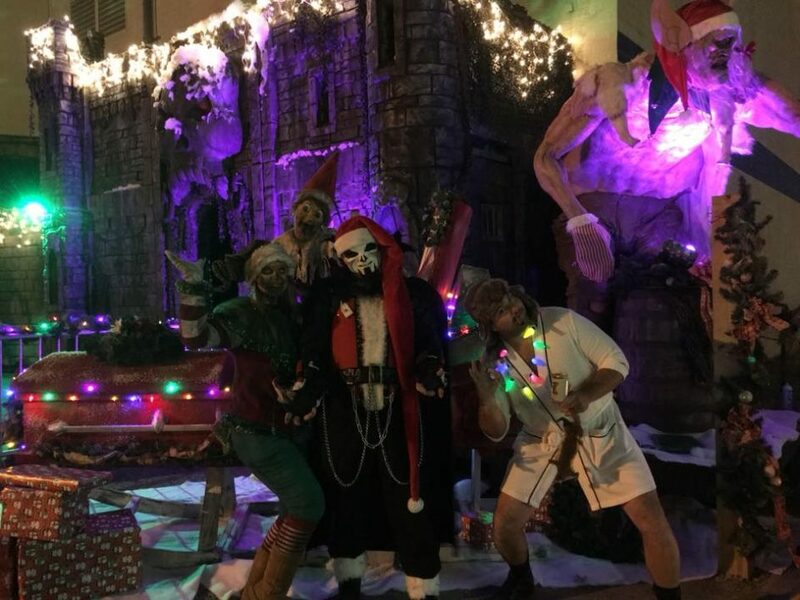 Teaming up with some of the top haunted houses in the country to help promote this event, Nashville Nightmare has seen thousands of holiday guests line up to tour the hallways of the haunt, chased by evil elves, demons and Krampus himself. And 2017 was no different. I had the pleasure of working this event. I have been haunting with the cast and crew of Nashville Nightmare for two years now, but in a much smaller role than what I have been with at other haunted houses. Don’t get me wrong: I love working for this gigantic beast of a haunt. But sometimes, I miss being more a part of the creative processes, actor management and general operations. I still put my two cents in sometimes, so I am not 100 percent out of the process yet. This year, I was manning the photo booth. Some would say that is not glamorous or not really a “haunter” position, but I beg to differ. You see, I get to talk to almost every single person who walked out of the haunt. I got a great gauge on how people felt, based on sales and body language. And I would say almost every single person was happy and enjoyed the experience they had inside. I could tell that the guy who walked out with his arms folded and a scowl on his face was not happy. When I talked to him, he was not happy with buying a Slash Pass (faster line). He kinda felt that his experience was not worth the extra money. But after reminding him that he didn’t pay extra for the haunt itself, but rather the ability to bypass the 90-minute wait in line and only had to be in the cold for five minutes, his whole demeanor changed. He even bought a photo. Simply talking to him, finding out what made him upset, and then changing his perspective turned someone who would have probably gone home, wrote a bad review and posted online into someone who not only had bought two Slash Passes, but now was the proud owner of a glossy 6″ x 4″ keepsake photo. Wonder if he also went to the gift shop as well. These “non-traditional haunt” events give the creative team a chance to try out things that they were afraid to do during the regular season. Normally, actors are told to be mean, evil and scary to every single body that comes through that door. But for this event, we had actors soften up their actions when kids were present. We had guests bring some very young kids inside, and our evil Santa, Krampus, and elves made them smile and laugh. The parents appeared to like it, too. So, maybe we are on to something here. Our creative team also introduced a dance/singing group to the courtyard in front of the gift shop. At the top of every hour, The Grinch, Frosty, Killer Santa, Oogie Boogie and others would take a few minutes to dance to songs played over the new PA system. And they even had a nice choreographed piece to the song, “I Am a Man of Constant Sorrow.” Was funny to watch, drew a small crowd and gave the customers something they had probably never seen before. Will this work during the regular season? I think it will, but it will have to be tuned to be more “haunt appropriate” during the season. I have some ideas, if anyone will listen. Krampus Christmas will probably return in 2018, as well. Nashville Nightmare is fast becoming the “must see” haunted house in the southeast United States. Its connections with some of the other major haunts in the country will only mean this event will get bigger and better. And I will hopefully be there to review all aspects, like always. Check out the next big event: Valentine’s X, coming February 2018.